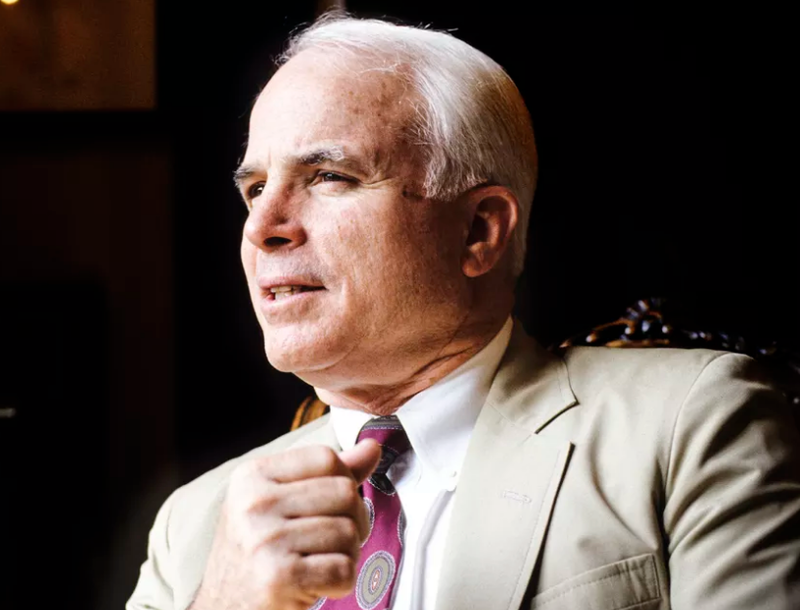 One of the American politician and naval officer who served as United States Senator is John Sidney McCain III who was well-known as John McCain. He previously served two terms in the United States House of Representatives. He was the Republican nominee for President of the United States in the 2008 election in which he lost to Barack Obama. John McCain’s full name is John Sidney McCain III. He was born on 29 August 1936 at Coco Solo Naval Air Station in the Panama Canal Zone. His father name is John S. McCain Jr. who was a naval officer and his mother name is Roberta McCain. He had a younger brother named Joe and a sister named Sandy. He attended around 20 schools. He attended Episcopal High School, a private preparatory boarding school in Alexandria. He excelled at wrestling and graduated in 1954. In 1958, he graduated from United States Naval Academy. He completed flight school in 1960 and became a naval pilot of ground-attack aircraft. John McCain’s height is 1.75 m. he has the balanced and healthy body. He became the naval pilot of ground attack aircraft. On July 29, 1967, McCain was a lieutenant commander when he was near the epicenter of the USS Forrestal fire. In 1977, he served as Navy’s Liaison to the U.S. Senate. On 1 April 1981, he retired from Navy as a pilot. In 1982, McCain ran as a Republican for an open seat in Arizona's 1st congressional district, which was being vacated by 30-year incumbent Republican John Jacob Rhodes. In 1983, McCain was elected to lead the incoming group of Republican representatives and was assigned to the House Committee on Interior Affairs. In January 1987, his Senate career began. He succeeded longtime American conservative icon and Arizona fixtures. He joined the Commerce Committee and the Indian Affairs Committee. He continued to support the Native American agenda. At the 1988 Republican National Convention, he delivered the well-received speech and was mentioned by the press as a short list vice-presidential running mate for Republican nominee George H. W. Bush, and was named the chairman of Veterans for Bush. As a member of the 1991–1993 Senate Select Committee on POW/MIA Affairs, he investigated the Vietnam War POW/MIA issue, to determine the fate of U.S. service personnel listed as missing in action during the Vietnam War. In 1997, McCain became chairman of the powerful Senate Commerce Committee. In November 1998, he won re-election to a third Senate term. In August 1999, his's memoir ‘Faith of My Fathers’ which was co-authored with Mark Salter was published. On February 1, 2000, he won New Hampshire's primary. He supported Bush and the U.S.-led war in Afghanistan after the 11 September 2001 attack. On February 5, 2008, he won both the majority of states and delegates in the Super Tuesday Republican primaries giving him a commanding lead toward the Republican nomination. In March 2008, he credited the surge strategy with reducing violence in Iraq. He emerged as a leader of the Republican opposition to the Obama economic stimulus package of 2009. During 2013, he was a member of a bi-partisan group of senators, the "Gang of Eight", which announced principles for another try at comprehensive immigration reform. In July 2013, he was at the forefront of an agreement among senators to drop filibusters against Obama administration executive nominees without Democrats resorting to the "nuclear option”. As the 114th United States Congress assembled in January 2015 with Republicans in control of the Senate, he became chair of the Armed Services Committee. On 3 July 1965, he married Carol Shepp who was a model from Philadelphia. He adopted her two children named Douglas and Andrew. Later they have a daughter named Sidney. But they got divorced in February 1980. The settlements of the divorce included two houses and financial support to her medical treatments due to the car accident. Then he started dating Cindy Lou Hensley who was a teacher from Phoenix, Arizona. He married her on 17 May 1980. He kept most of his family assets in her name. They had three children together named Meghan in 1984, John Sidney in 1986 and James in 1988. In 1991, Cindy bought a girl from a Bangladeshi orphanage who was three-months-old and was in need of medical treatment and they both adopted her and named Bridget. McCain’s net worth is estimated to be $100 million. 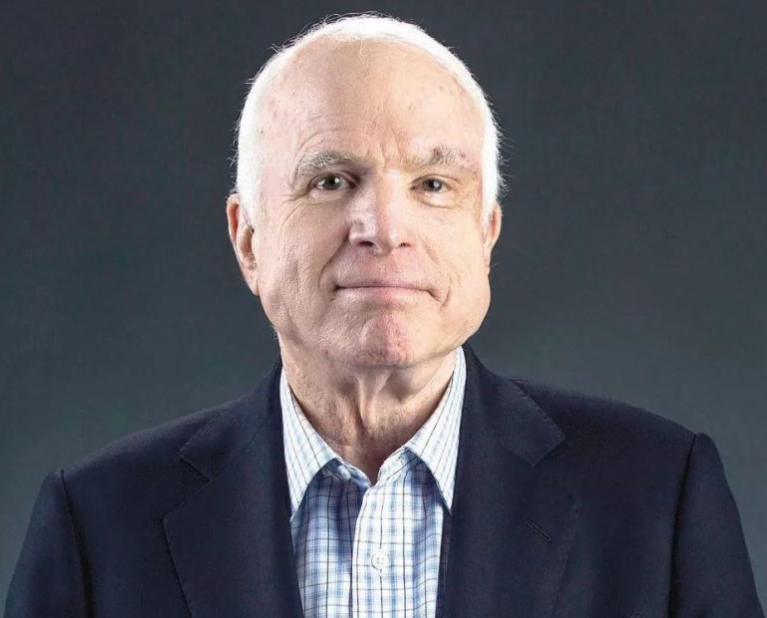 McCain died on 25 August 2018 at his home in Cornville, Arizona. He died four days before his 82nd birthday. He was a cancer patient. The day before his death his family announced that he would no longer receive the treatment for his cancer. His body will travel to Washington to lie in state in the rotunda of the United States Capitol on August 31, before a service at the Washington National Cathedral on September 1. He will be buried at the United States Naval Academy Cemetery next to his Naval Academy Classmate Admiral Charles R. Larson. Tributes were widely given to him on social media. His numerous awards include the Silver Star, two Legion of Merits, Distinguished Flying Cross, three Bronze Star Medals, two Purple Hearts, two Navy and Marine Corps Commendation Medals, and Prisoner of War Medal. He was awarded as the disability pension. In 1996, Time magazine named McCain as one of the "25 Most Influential People in America".